Property 65: Idyllic, restored stone farmhouse in peaceful Burgundy countryside. 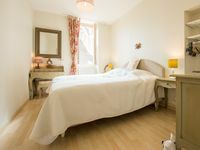 Property 70: Lucy's Hideaway, A boutique retreat for 2 set in a charming Burgundian village. 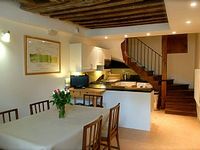 Property 80: NEW LES ROUSSES: 4 bedroom apartment, 2 bathrooms for 8 people. We spent three nights in the flat and found it perfect for our needs. Very quiet neighborhood and 5-minute walk from the village center. The flat is fully equipped. Great place to stay in Beaune! A nice location in Beaune. Very close to everything, but on a quiet street. The house met our every need. I would definitely stay here again when we come back!